The new Chief of the DEA, Chuck Rosenberg, said on Wednesday that medical marijuana is a “joke”. He says there’s no reason to call ‘medical’, because it´s not. The new Chief of the DEA, Chuck Rosenberg, coined medical marijuana a “joke” on Wednesday. Rosenberg says there´s no reason to call marijuana medical, because it´s not. Rosenberg says that we can encourage an honest and intellectual conversation about the legalization of marijuana, but calling it medicine is a joke. Rosenberg goes so far as to say that smoking the leaf, which is what everyone is talking about when they talk about medical marijuana, is not medicine. Despite the amount of research that has been done on medicinal marijuana, Rosenberg says that it´s all a farce and that marijuana should not be referred to as a medicinal substance. Eighty percent of states in the USA have legalized marijuana in one form or another. Seventeen states have approved the use of CBD-only marijuana (a medicinal marijuana that does not contain THC, the compound that makes you feel stoned) for medical purposes. Meanwhile, in Washington state, Oregon, Alaska, Colorado and Washington DC, marijuana is legal for both recreational and medicinal use. It´s likely that Rosenberg´s comments are in response to a recent report released by the DEA. In the DEA’s 2015 National Drug Threat Assessment Summary, they reported that crime, violence and drug use were up. 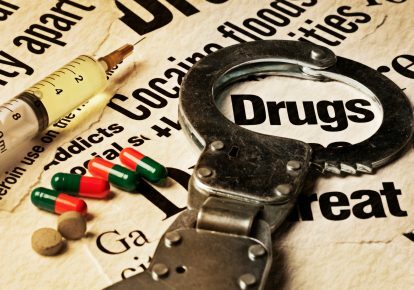 Drug abuse is up for almost all drugs, with the exception of cocaine. It also reports that each day, 120 Americans die from drug overdoses. Of course, there has never been a single reported death from the overdose of marijuana, so we can be sure marijuana does not contribute to this statistic. “Marijuana concentrates, with potency levels far exceeding those of leaf marijuana, pose an issue of growing concern”. However, it also states that meth-amphetamines significantly contribute to the crime and violence in relation to drugs in the USA. Rosenberg says he encourages an honest and intellectual conversation about legalizing marijuana, but not to refer to it as medical. It seems that in order for the conversation to be honest, the topic of medical marijuana must be included because so many people are using it for medicinal reasons. Of course, that is not to say that there are not people out there misusing the ability to obtain medical marijuana, but that does not mean it has no medicinal benefits. Rosenberg admits that he is open to conversation by admitting that there are a lot of dangerous and unhealthy things that are perfectly legal in society. However, he does say that he does not recommended the legalization of marijuana.